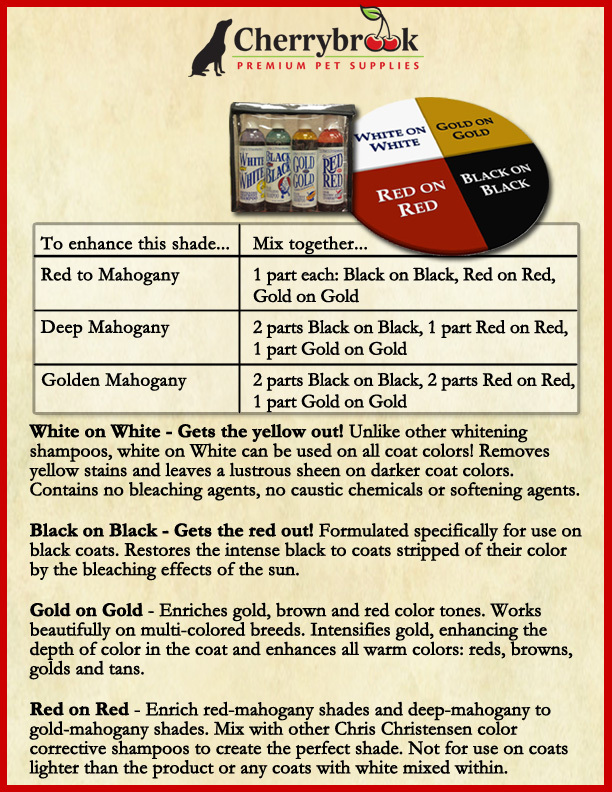 The Chris Christensen Color Correction kit includes 4 color enhancing shampoos in one kit! Blend these together to achieve striking, natural looking results. Click here for a helpful color mixing chart.